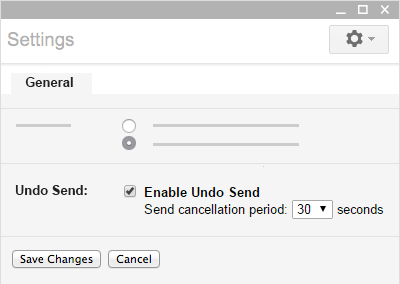 If you make a typo or change your mind about sending an email, you can take back an email using the Undo Send feature. Click Undo at the top of the page. Depending on your settings, there’s a limited amount of seconds to click Undo before it disappears. Scroll to Undo Send and check the Enable Undo Send box. At the bottom, click .